The amount of weight each person should lose is partly a personal choice. So in some ways aim to lose the weight you want to lose. For some people it may be a matter of losing a couple of pounds for others it may be a lot more. If you do not have a personal goal and are unsure how much weight loss to aim for, there are ways to work it out. Below we have summarised some of the methods, most commonly used to classify people according to their weight and body measurements. These methods can help you determine if you are overweight, obese or even within a healthy weight range. These classifications are only a guide and they do come with their flaws so do use them as they intended; as a guide. Regardless of how much weight you want to lose don’t aim in losing more than 1-1.5 kg per week. 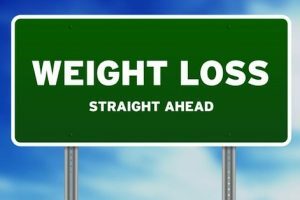 When it comes to weight loss ‘too much too fast’ is not recommended for health reasons. It may sound like a dieter’s heaven but trust me it is usually not good. 2. Do not fall on the underweight classification. You may be on your ideal weight or even slightly underweight but you know that there is a bit of a tummy, or an annoying big bottom etc. Well maybe it is not weight loss what you should be looking for. Maybe just eating the right foods, or adding some exercise to firm the areas which bother you could be the answer. On the other hand it could just be the shape of your body, and learning to love what you got is even better. 3. The 2 most important things about weight are your health and being happy. You may need to lose 200 lbs in order to reach your ideal weight but you don’t particularly want to be America’s next top model. Have the weight you feel comfortable with and happy with even if slightly over the line, as long as this does not affect your health. The truth is thin does not always mean healthy. 4. Don’t get obsessed with numbers such as your weight, your body mass index (see below), calories etc. Firstly being obsessed may not be a good place to be, secondly all these numbers are guides and not a setting stone. You may find that you don’t lose pounds but inches and fat. How is that possible? Well weight loss can be more complicated than just losing weight; your body’s composition can change, as well as other factors. Here we have summarized the following, body mass index (BMI) measurement, waist-to-hip ratio and waist circumference. You can use them as a guide to help you find your ideal range of weight. It is always best to use a combination of them for a better picture of your body’s weight. For example, you may be within your ideal weight range but you may have a high waist circumference which could indicate a high risk to specific health conditions. In simple words you could be carrying a high amount of fat in your belly and this is linked to developing some diseases/conditions. Or on the other hand you could be exercising and carrying a lot of muscle which can lead to a high BMI (i.e. very common with athletes). This doesn’t mean you are overweight. Ideally you can have direct body composition measurements, such as bioelectrical impedance, which can determine the percentage of fat, lean mass, and water in the body. However, this can be costly and sometimes hard to get. BMI is a simple way to classify individuals within ranges according to their weight and height. BMI does not actually measure or show the amount of fat and non-fat mass in the body. Once you have calculated your current BMI then you can look on the table below to see at which category you are. You can also look at table 2 to see height and weight recommended ranges. WHR is often used to determine the overall health risk. Increased abdominal fat has been linked with increased risk of developing some conditions. WHR is another simple way of categorising individuals’ health risk according to the circumference of their waist and hip. WHR =Divide the circumference of the waist with the circumference of the hips. Place the tape around the waist and hips to the areas shown on the picture. The point at which the tape measure meets is the reading of the circumference. Once you have calculated your WHR you can look at the table below to see if you are within a range which increases risk of developing health conditions. As mentioned it can be used in combination with the BMI. For example if you are on a normal range BMI but have a high WHR you could be looking at losing weight from your abdominal area (belly). This could be easily achieved with a healthy diet and some exercise. 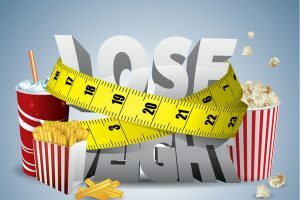 Therefore your weight loss goal could only be a few pounds and even less than a stone but your concentration would be more in what foods you eat and how you can improve the condition of your belly. Waist circumference is a simplified way of the WHR measurement. Just measure the circumference of your waist as above. Waist Circumference it is often used to determine overall health risks in relation to the circumference of a person‘s waist. Waist circumference can be recommended for those people who may be classified within a healthy range with using BMI measurements but may have excess fat on their abdomen. The table below shows the classifications of waist circumference in relation to the health risk. 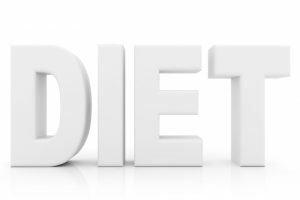 As mentioned earlier in the case where you need to lose abdominal fat, a healthy balance dietmay be most adequate. 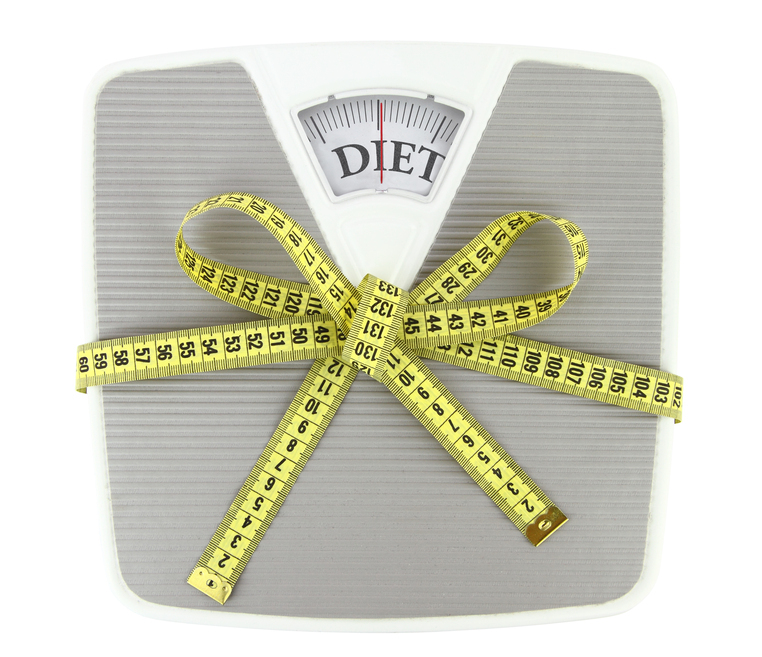 In addition you may not be measuring weight loss in terms of pound/kilos weight in general but in inches. Everybody is an individual with different needs and circumstances. Even 2 people who appear to have the same height do not necessarily mean that they would have the same weight. Moreover, no one has a stable weight through all their day let along their whole life. 2. Use the calculations and measurements above to find in what range and category you are in. Are you overweight, in a risk of having a lot of abdominal fat, within normal weight range? But don’t forget they are a guide not a setting stone. 3. Once you have an idea of your body measurements you can start planning on what you need to concentrate on. This could be just losing a couple of pounds to feel more comfortable in yourself, or losing some inches of your tummy or losing more weight to get within a normal range of weight. 4. Don’t obsess over numbers. Above all is your health and satisfaction. Lowering the risk of developing health conditions and being at the weight you feel satisfied is a good place to start. If you are however borderline underweight or your goals bring you to an underweight range do reconsider. Your health is important and skinny does not translate to healthy. Start thinking that maybe you should start loving your own body. 5. It is important to think what is it you want to achieve. Regardless of what measurements say what is your own goal? Do you just want to go down a couple of dress sizes even if you are still in an overweight range? How much do you weigh then? For example if you are a dress size 18 and want to just go down to a size 16 your goal could be losing 1-2 stones. This is only an example as each person’s body is different. The point is, do think where you want to be. Set your goal and review your progress. 6. Losing weight versus losing fat. Yes you don’t always have to see it on the scales. 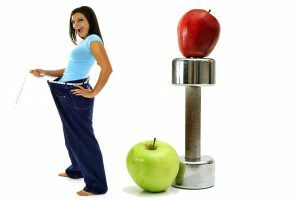 There is such a thing as losing fat mass but not necessarily translating to pounds but more in inches or sometimes it is not as clear at all. You could be putting lean mass on. Keeping a record of your measurements sometimes can give you a guide of what is going on. But don’t over obsess. 7. This brings us to the point of don’t just look at finding an exact weight goal from day one. Keep in mind that you did not put on the weight in one day so it is unlikely that you will lose it in one day. If you have quite a lot of weight to lose set a 2 week goalsto start from. It takes about 2 weeks for your body to make long term changes and adapt (this can vary depending on each individual). Monitor your diet and weight loss and body changes (i.e. lost inches, lost pounds, to hard diet to follow etc.). After that, set your weekly goals and monthly goals. For example you want to lose 10lbs in one month, so you will aim for approximately 2lbs per week. It may be that one week you lose 1lb and one week you lose 3lbs but overall you have reached your monthly goal. Over the time you will know at which point you are happy with what you have achieved. 8. Do it healthy. I think I have already said that a few times. Well here it goes once again. Being healthy is more important than being thin and thin does not always mean healthy. Aiming for a healthy body state, a change towards a healthier diet and lifestyle rather than stressing about how many pounds you should be is probably a better thing to do. 9. If your weight loss is for mainly health reasons then it is also advisable to consult an appropriate medical professional. A medical professional should provide you with the guidance you need regarding your health and weight. I know that sometimes physician may tell you that you must lose weight for your health but often don’t tell you how or how much. Insist in guidance. Don’t be afraid to ask for advice and more information. It is your health and this is their job.